The idea continued to whirl around in my head. You see, it's always struck me as odd that the first Bond film was Dr. No yet Fleming's first Bond adventure released in 1953 was Casino Royale. It's also caused great personal annoyance that there's a spoof Bond film, actually called Casino Royale, and with a first class cast of David Niven, Orson Welles and Peter Sellers, that is absolutely awful. I'm not being harsh, it really is truly pitiful. So, let's imagine an alternative film reality if you will, where the movie rights to Bond had been bought by the Boulting Brothers. You know the Boulting Brothers, of course. They made a string of comedies from the mid-1950s, mainly satirical in nature, poking fun at institutions such as the army (Private's Progress), the law (Brothers in Law) and industrial relations (I'm Alright Jack). Their films really are incredible stuff, starring some unrivalled comic talent including Ian Carmichael, Terry-Thomas and Peter Sellers. Well imagine Bond dropped into this satirical world. So here we go, it's time to cast a late-1950s Casino Royale. First up, who would have starred as Bond in this comical spy caper? Rather than the masculine powerhouse that was Sean Connery, for this Boulting Brothers Bond outing, we need 007 to be a bit of a failure. A fellow that desperately wants to be the handsome and suave secret agent with a licence to kill, but actually, he'd have had a much better career as an office clerk with the key to the filing cabinet. Let's take a look at the candidates. Richard Attenborough springs to mind. 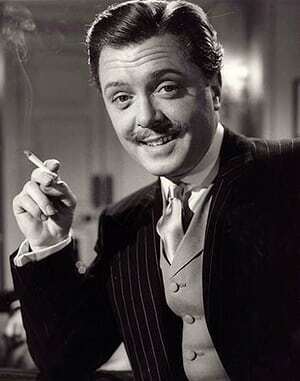 The Boulting Brothers worked with Dickie in Brighton Rock and he'd look rather splendid in a dinner jacket. 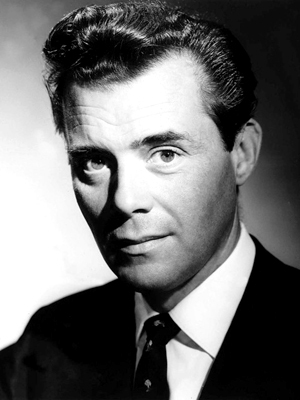 Then there's Dirk Bogarde. With his matinee idol good looks, I can picture him as Bond, but as he was already starring as the hapless hero in the Doctor film series, perhaps he'd have been a little too pre-occupied to swap a stethoscope for a vodka martini. 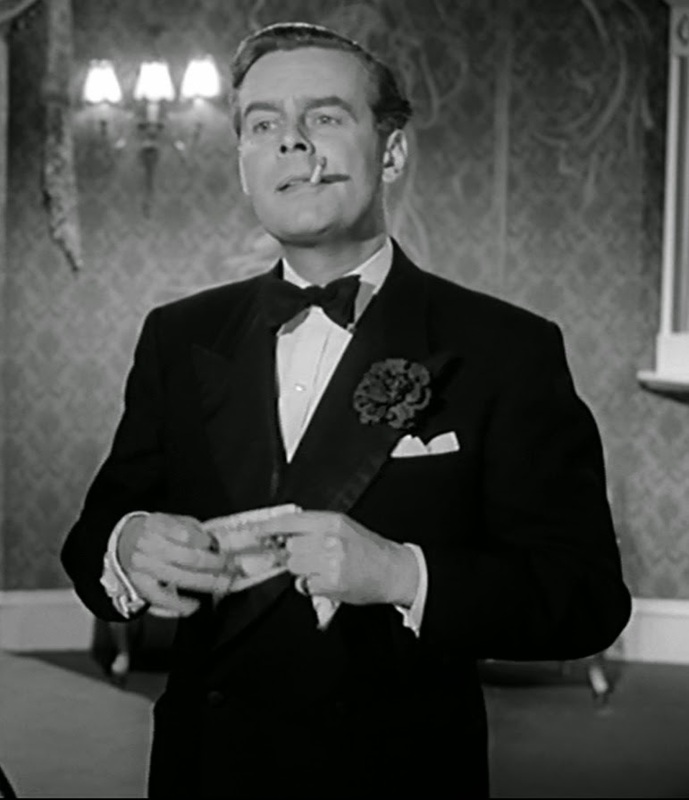 Step forward the obvious candidate - Ian Carmichael. As a Boulting Brothers favourite, who better to play the out-of-depth British secret agent? Next up, we need an M - Bond's superior who sends him off on far-flung missions and desperately struggles to keep him under control. Bernard Lee, the choice for Broccoli and Saltzman, would actually do rather well in this alternative version of Bond. Although to add to the comedy effect, we need somebody almost as bumbling as Carmichael for this senior position. After much consideration, I'm going to telephone Eric Barker's agent and give him the good news. 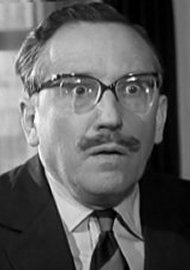 Eric Barker carved out a career playing an authority figure in the likes of Carry on Constable and indeed, the chief in Carry on Spying. 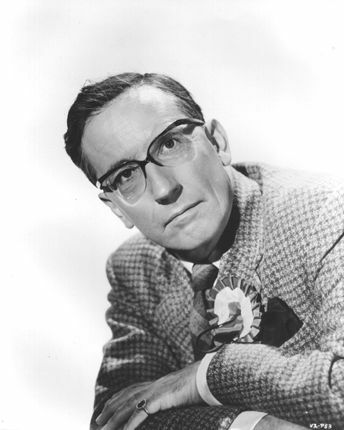 He also had previous form with the Boulting Brothers as a barrister's clerk in Brothers in Law and worked for the Ministry of Education in Blue Murder at St. Trinian's. One civil servant job is much as the same as another...congratulations, Eric - can you start on Monday? Now, we can't have a boss without a secretary. That just wasn't the done thing in the 1950s. Miss Moneypenny is one of my favourite Bond characters - always ready with a quip at Bond to put him in his place, while still being a little dewey-eyed in the presence of the handsome spy. While Lois Maxwell's version of Moneypenny was highly efficient and no doubt ran rings around M (and was probably the only person capable of keeping tabs on Bond), for our Moneypenny, we need a beleaguered secretary that stumbles from one mess to another as she struggles to keep her cool in the presence of our inept hero. 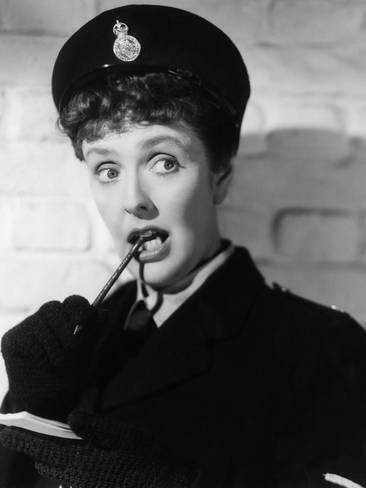 I'm going to pick another star of the St Trinian's films for my Moneypenny - Joyce Grenfell. I love her as lovelorn Sergeant Ruby Gates in St Trinian's - she would be just perfect as Miss Moneypenny. Every Bond film needs a villain, and in Le Chiffre, these are dastardly shoes to fill. As this is a comedy, we need somebody who can be charming but with just enough menace. 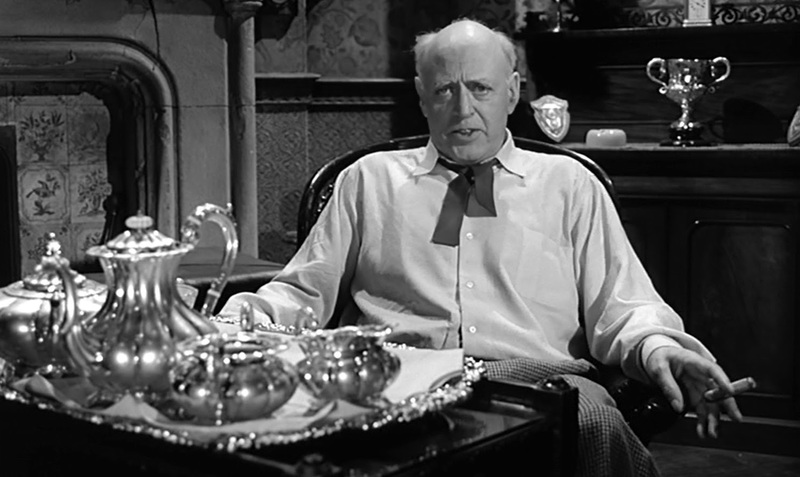 We need Alastair Sim. I absolutely adore him in The Green Man, where he played an assassin and of course, he crossed paths with Carmichael in School for Scoundrels. Finally, we need a little glamour. A Bond film wouldn't be a Bond film without it and in Casino Royale, the glamour comes in the form of love interest and secret double agent, Vesper Lynd. It's tempting to return to The Green Man and pick my favourite, Jill Adams, who I thought was sensational alongside George Cole. As she already played Carmichael's love interest in Brothers in Law, instead, I'm going to choose a lady who was actually a Bond girl. 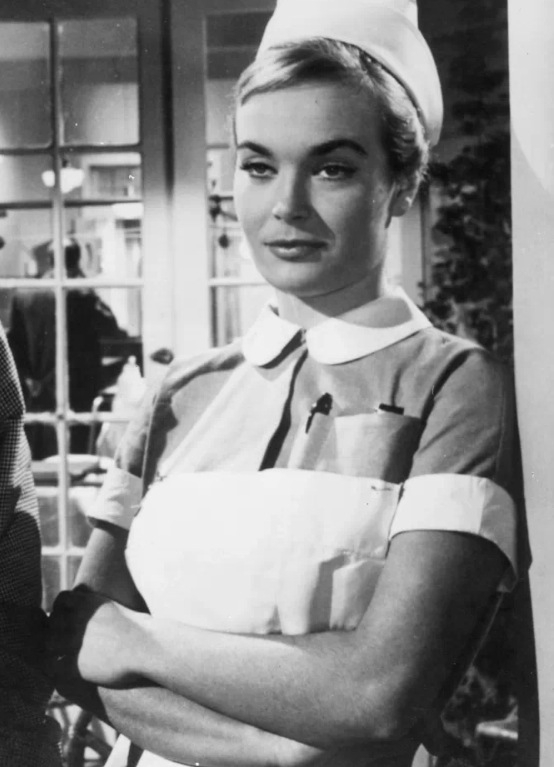 And possibly the Bond girl that appeared for the shortest time on screen - Shirley Eaton. Of course, Shirley's Jill Masterson character was famously daubed in gold paint in Goldfinger before the other Shirley had even warmed up her vocal chords for the opening credits. The least we can do is give her a proper outing in Casino Royale. Before Bond, Shirley was a true 1950s blonde bombshell with roles in Doctor at Large, The Naked Truth as well as a number of Carry on films. So, there you have it. Bond, as you've never seen it and never will see it before.